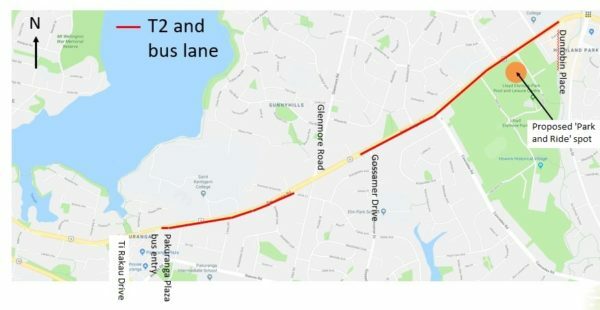 Pakuranga MP Simeon Brown is taking it upon himself to consult the public on Auckland Transport’s (AT) plans to introduce a T2/Bus Lane on Pakuranga Road. “It’s only fair that those who will be most affected by a change of this magnitude should have a say on whether they think it will make a difference,” he says. The proposal would see the left westbound lane on Pakuranga Road heading towards Panmure turned into a T2/Bus Lane. This is part of a wider traffic management plan which would include a Park and Ride service from Lloyd Elsmore Park and express bus services to the Panmure train station. Brown says AT’s refusal to consult the public is frustrating. “This is a major change to one of the most heavily trafficked roads in the country. Statistics suggest that if Pakuranga Road was a State Highway, it would be the 4th or 5th busiest in the country. Brown says consultation by AT should be a requirement and a priority so that the community who frequent Pakuranga Road get a say on what will work best for traffic management. “Failing to consult with communities before major changes are made is becoming AT’s bread and butter. In many cases they may actually find that those affected by their changes might know better about what will and won’t work,” he says. AT spokesperson Matt Poland has said formal public consultation has not been undertaken because these are “temporary, essential traffic management measures” to minimise congestion during a construction period as opposed to “permanent changes to the road layout”. The T2/Bus Lane is expected to be in place through the AMETI Eastern Busway construction period of two years. The T2/Bus Lane is expected to be in place between Highland Park and Ti Rakau through the AMETI Eastern Busway construction period of two years. Construction of the next stage is planned to commence in April and AT are aiming to launch the new park and ride / express service option a few weeks prior to work commencing. But Brown says if AT won’t consult the community, he will. Today Brown is launching a survey that will give affected motorists the chance to have their say. He says he intends to present the results to AT. “This survey will also ask respondents their opinion on another proposal to reduce traffic along Pakuranga Road – a Park and Ride at Lloyd Elsmore Park with shuttle buses to Panmure Train Station,” he says. Brown will also be hosting a public meeting on Wednesday February 27 to discuss these issues. This will be held at the Bucklands Beach Yacht Club at 7:00pm, and all are welcome to attend. The survey can be found online by visiting simeonbrown.national.org.nz.